Released on September 23rd, 2016, and available now from this store, Chris's latest studio album features 15 new songs. 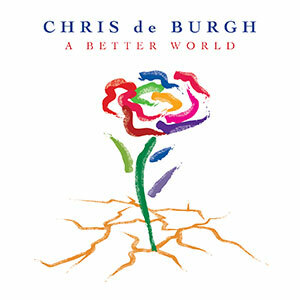 Welcome to the Official Chris de Burgh Record and Merchandising site. This site is the place to visit to obtain audio and visual releases by Chris, along with items of tour merchandise and other goodies. We are delighted to offer many of the items sold during recent Chris de Burgh tours at considerably discounted prices. Mail Order: Should you choose not to make payment for products via our on-line e-commerce solution, we are pleased to offer the option for you to go through the order process, download/print off your order at the Check Out - and return it to us, together with your payment, by mail to the address indicated. Note that prices EXCLUDE postage (mailing rates are extra and notified at the check-out), and that we only hold stocks of the items listed, and only in the sizes indicated.